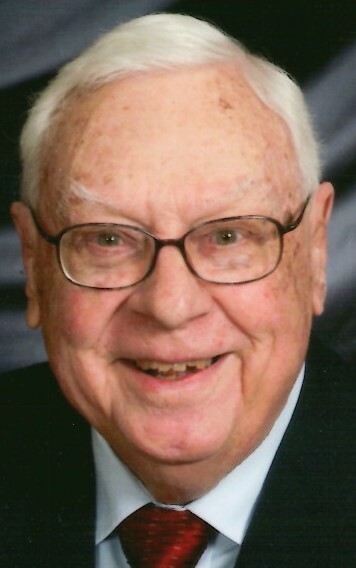 Clark E. Stair, age 91, passed away on January 27, 2019. He was born in West Salem, Ohio on November 30, 1927 to the late Herbert and Viola Stair. Clark retired as Vice President of Research and Administration at Firestone Tire and Rubber Company in 1987, after 35 years of service which included positions as Manager of Race Tire Development, Vice President of Research and Development, and Vice President of Research and Technology. After graduating from Congress High School in 1945 he served in the US Army’s 913th Field Artillery Battalion in Italy, and then attended Ashland College where he lettered in baseball and from which he graduated with a B.A. in Chemistry as class Salutatorian in 1952. He was honored by Ashland College in 1964 as an Outstanding Alumnus and inducted into the Northwestern High School Alumni Hall of Fame in 2010. Clark was a long time member of Trinity UCC in Wadsworth Ohio where over the years he served as a Deacon, a Sunday School Teacher, and Consistory President. His community service included board membership for the Akron General Hospital and the Great Trail District of the Boy Scouts. Clark is survived by his beloved wife of 69 years Rose Ann (Barnard) Stair, his brother Dwight (Donna) Stair his loving children Doug (Debbie) Stair and Elizabeth (John) White his grandchildren David Stair (Stephanie), John White (Katelyn), Brian Stair (Sarah) and Ben White (Kirsten), and his four great grandchildren. A Memorial Service will be held at Trinity UCC, 215 High Street, Wadsworth, Ohio on Saturday February 2, 2019 with Reverend Adam Marquette officiating. Friends may call at the church beginning at 10:30 AM and the Service will begin at 11:30 AM. In lieu of flowers, donations can be made to the Clark and Rose Ann Stair Chemistry Scholarship Fund at Ashland University, 401 College Avenue, Ashland, Ohio 44805 and the Music Ministry of Trinity UCC.